When you are going for lifeguard certification courses, you’ll be taught several sub-courses. Each of them makes you learn a particular set of skills that are important for your job. You’ll be trained enough to become a competent worker who can face challenges easily and takes prompt action during an emergency. In lifeguard certification courses, the skills mostly taught are personal survival, rescue, surveillance, safety and much more. By the end of classes you will learn all those skills. 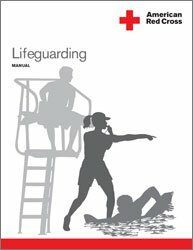 In lifeguard certification courses, you are given complete information about how to keep people safe in a pool, river, beach or any body of water. You also learn how to act in a prolonged emergency situation and save the victim. Remaining peaceful and clam in that difficult time is also a part of the course. Breathing techniques for people who are stranded in water; strokes used to make his body warm and energetic are also included in lifeguard training certification. In order to do this task efficiently, you must have thorough information about floating and swimming ways that can help you approach a place where you are safe and sound without getting exhausted. Trainees are also taught to identify those people whose life are at risk at the beach. Because in summer, all beaches are loaded with crowds and millions of people chilling out in water as well as on the sea shore. In that situation it becomes even more challenging to know the difference between screaming, shouting, and playing from people in trouble. In lifeguard certification you are trained to detect accurately people who are at risk and are asking for help. That is the right job for you. In summer, there is scorching heat and beaches are full of swimmers, surfers and those, who bask under the sun. You are likely to feel hot and sweaty at that time because you stay in sunlight continually at different points. Feelings of thirst and boredom are also natural. It is lifeguard certification that teaches you ways and methods to help resist such feelings and overcome them efficiently. It also trains them to be focused about their duty among many distracting things around. Strolling in the area, swapping stations with co-workers and interacting with them can be refreshing and motivational for you. You will be taught in lifeguard certification about how to activate a plan. Beach patrols have their own strategies that are implemented when required. To perform rescue operation, lifeguards must declare an emergency. In lifeguard certification you learn how to dive in water. You can simply walk if it’s a shallow area or swim quickly to reach to the victim. Lifeguards always enter the water with their safety can in tow. The next step is to go close to the victim and stabilize him and proceed to remove him out of the water. Then continue to move him into a flat and safe dry place immediately. Provide emergency care and first aid to him as quickly as possible. These are the skills you learn in lifeguard certification courses.